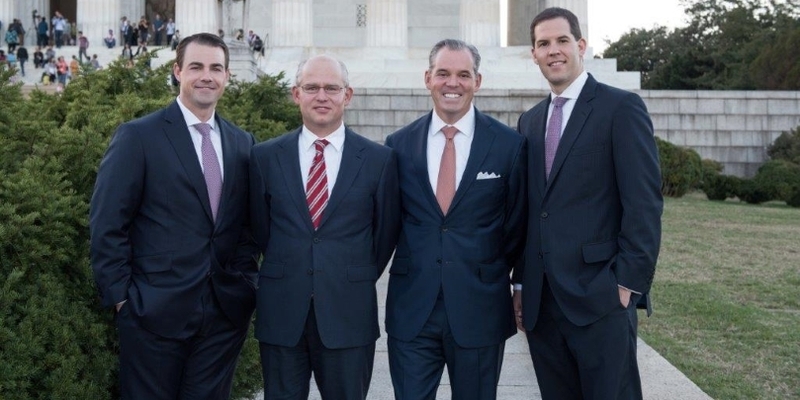 Brett Anthony serves as one of the I Street Group’s Portfolio Management Directors and heads the Group’s Private Wealth Management practice. He has been advising high net worth families and Family Offices for over 20 years. In this role, Brett oversees the management of our discretionary portfolios and is actively engaged with all aspects of equity, fixed income, options, and alternative investment strategy. He is also jointly responsible for the relationship management of our private wealth clientele. Brett began his career at Morgan Stanley in 1992. He is a graduate of the University of Massachusetts at Amherst, where he earned his Bachelor of Arts degree. Brett is an avid tennis player and enjoys spending time with his family. He resides in Washington, D.C. with his wife, Marjan, and children, Anabelle and Patrick. Trip McLaughlin serves as the I Street Group’s Senior Institutional Consultant and heads the Group’s Institutional Consulting Practice. He has been advising Foundations, Associations, Corporations and Family Offices for over 20 years. In this role, he focuses almost exclusively on investment policy creation, asset allocation, and investment manager search and selection. Trip began his career at Morgan Stanley in 1992 and is a member of Morgan Stanley's elite Chairman’s Club. He has been recognized for excellence by many leading industry publications over the years including being listed as one of America's Top 1,000 Financial Advisors by Barron's. 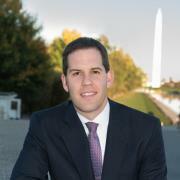 He ranks amongst the Top 20 Advisors in Washington, D.C. within this prestigious publication. 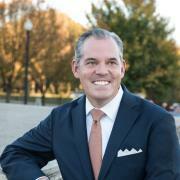 In addition, he has been recognized as one of Washington DC's Best Financial Advisors by Washingtonian Magazine. He is a graduate of Hampden-Sydney College, where he earned his Bachelor of Arts degree in Managerial Economics. He holds the Certified Investment Management Analyst (CIMA®) designation from the Wharton School at the University of Pennsylvania. He is a member of the Investment Management Consultants Association (IMCA®) and the Association of Professional Investment Consultants (APIC). Trip is a Board Member for The Hearing and Speech Center at Children's National Medical Center and the Small Point Summer School in Small Point, Maine. Trip is a former member of the Board of Trustees at Hampden-Sydney College where he was the Chair of Budget and Audit Committee and a member of the Investment Committee. Trip enjoys a variety of outdoor activities and coaching youth sports in McLean and Potomac. He resides in McLean, VA with his wife, Paula, and children, Burke, Conor, and Maeve. 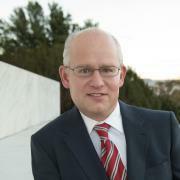 Matthew Offen serves as the I Street Group’s Corporate Retirement Director and Family Wealth Director and as such heads the corporate retirement and financial planning practices. Since joining Morgan Stanley, he has been advising institutional and private wealth clients on all facets of their investment, planning, and fiduciary responsibilities. In that role, he brings experience and knowledge to institutional clients as it relates to their qualified and non-qualified retirement plans and comprehensive financial planning resources to participants and families. 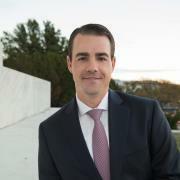 Matt began his advisory career at Morgan Stanley in 2002, and previously spent time as an Analyst in the Economic and Financial Solutions Group of Arthur Andersen. Matt is a member of Morgan Stanley’s elite Chairman’s Club and Morgan Stanley’s Corporate Retirement Director Advisory Board. He is also part of a select group of advisors at the firm, who have been acknowledged as a National Strategic Partner. Over the years, he has been recognized by numerous publications including such accolades as Top 40 under 40 Wirehouse Advisor by Registered Rep Magazine, a Top Gun 50 under 40 Advisor by National Association of Plan Advisors, and a Top Financial Expert by Washingtonian Magazine. He is a graduate of the The George Washington University, where he earned his Bachelor of Arts degree in Finance. He holds the Chartered Retirement Plan Specialist (CRPS®) designation and is a member of both the National Association of Plan Advisors (NAPA) and the Association of Professional Investment Consultants (APIC). Matt is an avid golfer and a British classic car enthusiast. He resides in Washington, D.C. with his wife, Hallie, and sons, Emory and Porter. Jonathan Sowanick serves as one of the I Street Group’s Portfolio Management Directors and is a lead relationship manager for our private wealth clientele. For over a decade, he has been advising high net worth families on all aspects of equity, fixed income, options, and alternative investment strategies. Jon has a core strength in equity portfolio management and as such is heavily involved with the management of our discretionary equity portfolios as well as the development of investment strategies. Jon joined Morgan Stanley in 2008 and is a member of Morgan Stanley’s Century Club. Prior to Morgan Stanley, he spent three years at Merrill Lynch as a Financial Advisor. He is a graduate of Gettysburg College, where he earned his Bachelor of Arts degree in Business Management and served as a Captain of the Men’s Lacrosse team. Jon is an avid golfer and enjoys coaching youth lacrosse. He resides in Washington, D.C. with his wife, Erin, and children, Paige, Charlotte and Bennett. 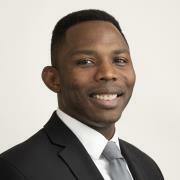 Michael Mitchell serves as a Wealth Advisor Associate and Financial Advisor on the team. Michael’s primary roles are business development and the delivery of the firm’s modern wealth management resources to his fellow advisors and our collective clients . Prior to joining the I Street Group, Michael developed an experience with the Morgan Stanley financial planning tools as he assisted Financial Advisors throughout the Morgan Stanley DC/Annapolis Complex to produce comprehensive written financial plans for clients. Michael joined Morgan Stanley in 2016 and has more than 7 years of experience in the financial services industry ranging from Consumer Retail Lending and Mortgages to Corporate Syndications and Private Wealth Management. He is a graduate of Duke University, where he earned his Bachelor of Arts degree in Economics and dual minors in French and German. Throughout his college and post college career he has been a successful athlete and coach while competing at the highest levels of international freestyle wrestling. He has taken this passion for wrestling and athletics and gives back to the community through volunteer coaching at Gonzaga College High School. He also annually serves as a guest teacher for an English school in Russia. Michael currently lives in Bethesda, Maryland. Hayley serves as the Group Director of the team and is responsible for the ongoing enhancement of the client service experience. She oversees the administrative team and the operational aspects of The I Street Groups practice. Hayley joined Morgan Stanley in 2006 and has more than 25 years of experience in the financial services industry. She earned her Certified Financial PlannerTM (CFP ®) designation in January 2006. 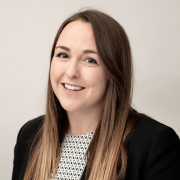 Hayley joined The I Street Group in 2014 after several years in branch management and a variety of other positions in the industry. 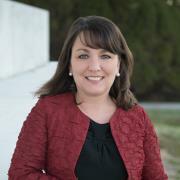 She graduated in 1992 from Wake Forest University with a Bachelor of Arts in Communication. Hayley lives in Burtonsville, Maryland. 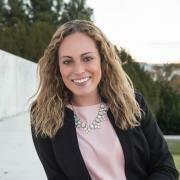 Danielle serves as the Business Development Associate for the I Street Group. She is responsible for the implementation of the investment strategies and portfolios designed for our private wealth clientele. She is also responsible for client relationship management. She joined Morgan Stanley in 2004 and has been with the I Street Group since 2005. Danielle graduated Union College in 2004 with a degree in Economics and Japanese. 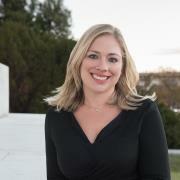 She is originally from Scituate, Massachusetts and currently lives in Bethesda, Maryland. Catherine serves as a Client Service Associate and joined the I Street Group in 2015. She assists the team in client relationship management by aiding the clients in daily requests ranging from accounts processing and maintenance to funds and securities transfers. Additionally, Catherine provides support to clients needing technical assistance with Morgan Stanley's digital and online applications. In 2014, she graduated from Virginia Tech with a B.S. in Psychology and dual minors in International Studies and Middle Eastern Affairs. Catherine lives in Virginia and is an avid snowboarder and piano player. Amanda serves as a Registered Associate and joined Morgan Stanley in 2017 with the I Street Group. Previously she worked for a Broker/Dealer in Carpinteria, California as a Broker Relationship Manager and obtained her financial licensing. She is originally from Washington D.C., although grew up in northern California where she enjoyed lake activities and skiing in Tahoe on the weekends. In 2015, she graduated from University of California, Santa Barbara with a Bachelor of Arts degree in Political Science. After interning on The Hill during college, she wanted to return to Washington after finishing school. In her free time she enjoys traveling. 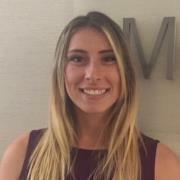 Emma serves as a Client Service Associate and joined Morgan Stanley in 2018 with the I Street Group. Her primary role is to assist with daily requests from clients ranging from account opening and maintenance to transfers of securities and funds. She is a graduate of American University where she earned her Bachelor of Science in Business Administration and a minor in Art History. She has previously worked at The National Gallery of Art in Washington, DC and Sothebys in New York, NY. Emma lives in the District of Columbia and has a passion for travel, and learning about and interacting with different cultures.